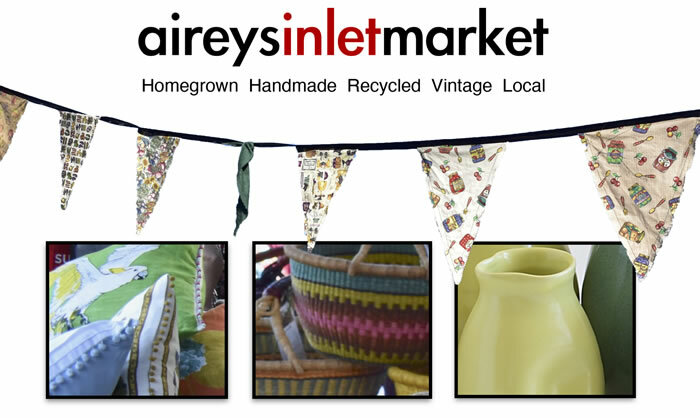 Aireys Inlet Market is a boutique market offering authentic homegrown, handmade, recycled, vintage and local goodies. Visitors enjoy a wide variety of merchandise such as local art, bespoke homewares, crafts and lots more, along with a large variety of the best local and regional food, produce and value-added food products. Please join us on our next market at the Aireys Inlet Community Hall. Look for the flags, you can't miss 'em. Selected Sundays every month of the year, every weekend in January, plus the Saturday of Cup Weekend and a Saturday evening 'Twilight Market' on 19 January 2019.